Watching a woman sizzle in evening party wear sari is a treat. Uncomplicated, classy and elegant, Indian sarees are no longer restricted to traditional events such as wedding. 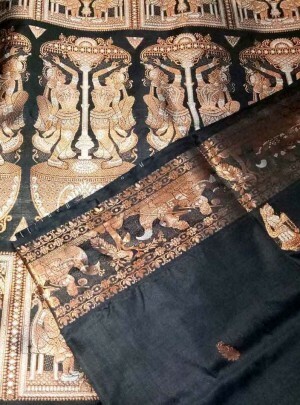 Buy authentic swarnachari silk sarees of Bengal. Wide range, reasonable prices, worldwide shipping. 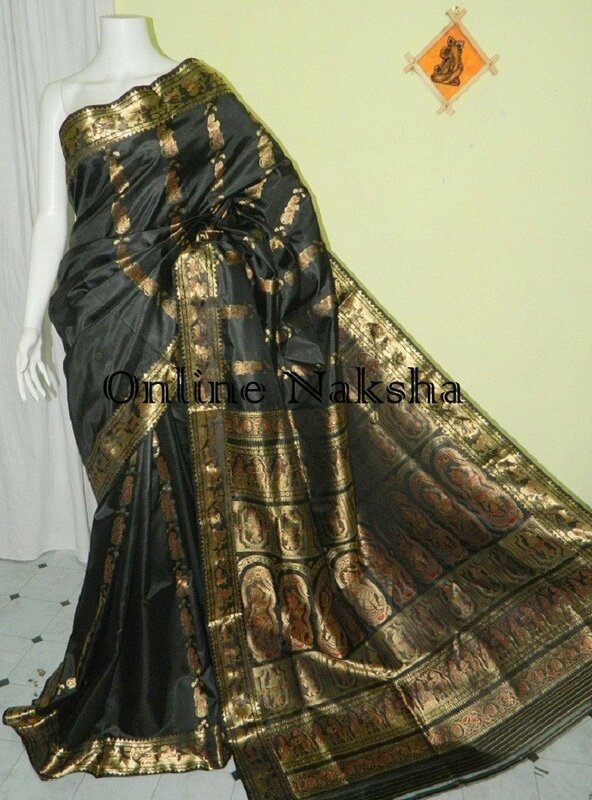 Own this piece of legacy, Swarnachari Silk Online which depicts the epic tale of Shakuntala and deer with gold thread incorporated in the weave which gives its characteristic rich sheen. 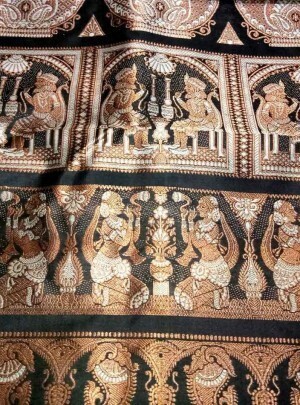 Featured saree is very rich looking and has a distinct feel It showcases exhaustive real zari brocade work. Intricate weaving in the borders and pallu with mythological motifs such as lord Krishna etc, using red mina highlights the entire gorgeousness of the saree. Maintaining both the glamour and beauty this saree can provide a unique look to turn head towards you in the crowd.